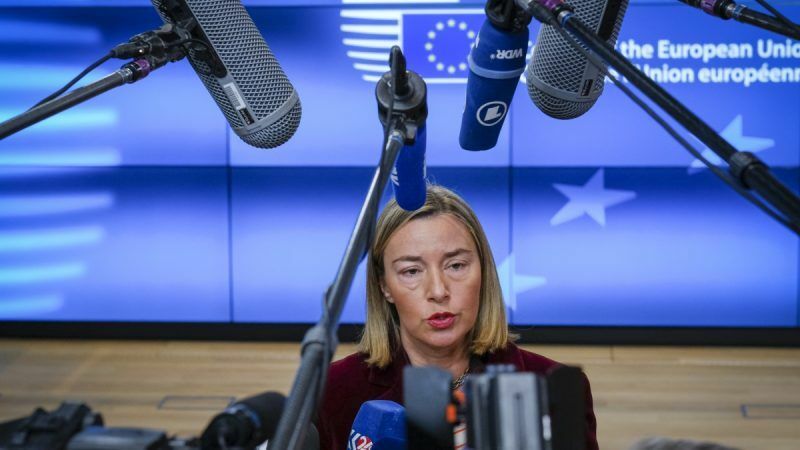 The Foreign Affairs Council is right to focus on the Israeli-Palestinian peace process when it meets Arab leaders on Monday (26 February), but it’s on Iran that the EU is needed the most, writes Franco Frattini. Franco Frattini served as the Italian foreign minister from 2002- 2004 and 2008-2011. Today the Foreign Affairs Council will sit for lunch with the most powerful foreign ministers and officials in the Arab World. Only one item is on the agenda: the Israeli-Palestinian peace process. What does Mr.Frattini read? He’s got the whole thing upside down. It is not Iran that is unprepared to live peacefully with Israel, it is Israel that is unprepared to live peacefully with Iran. Iran does not have the means — and I believe the will — to challenge Israel. Israeli keeps threatening Iran, not the reverse. Same with Yemen. In Yemen every expert agrees, the Iranian interference is minimal. It is Saudi Arabia that has started the war against the Houthi, and has at its disposal the weapons gleefully sold by us in the West. Same with Iran’s support for terrorists. Even the NYT agrees that it is the Sunni states in the Gulf that have armed and financed terrorists in the region. Was there an Iranian among those who fell the Twin Towers? Frattini argues Hizbollah is a terrorist organization. Well, it isn’t, unlike Al Qaida, Jabat al Nusra, etc. that are financed by us in the West. What part of Iran are you from? Your either Iranian or deluded or both. Iran is a terrorist state that should be kept boxed in & outside of the civilised community. Only a fool of which there are many in Europe would want to cosy up to a state like Iran. Joe Thorpe, care to give some facts about Iran’s alleged terrorist activities?